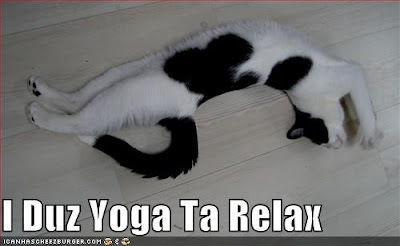 I attended my first yoga class last night. Is there a yoga term for exhaustion? I was a puddle. The class was similar to Bikram yoga in pace but without heaters, thank goodness, and shorter by 15 minutes. But it was good and today every fiber of my frame is sore. Um, so I ain't going today. I'm going to pose my fingers across the keyboard trying to finish up a project that is due. Tonight is book club at The Daily Scoop in Southpark. Last but not least, a couple pics from the huge flea market in Fort Myers that I went to with my friend Patzi. The last one - a shop dedicated solely to Fuller Brush Co. products! I remember them coming to my grandmother's house when they used to sell door-to-door. For those who have read my previous rants on compassion-challenged Michael Vick and the ignorant, cruel seal killers of Canada, my friend and author of Cheekiermesly brings up a third moron for my list. Pro golfer Tripp Isenhour shot and shot his tiny ball (golf, that is) at a red-shouldered hawk until he killed it. I hope they prosecute his pansy, candy @ss to the full extent of the law. The article can be found here. I read it with disgust. I know some people have momentary lapses of reason and do ridiculous things. Well, fine, I say, and now he should pay for it. The first tariff should come from the authorities who are investigating the incident. For cruelty to animals and killing a migratory bird, this misdemeanor could bring a maximum penalty of 14 months in jail and $1,500 fine. Fine with me. The second perhaps should come in the form of an irreparable tick that invades his golf swing for the rest of his days. May the poor, dear hawk rest in peace. Can you tell I'm mad? Anyone who knows me knows I love animals so much. I love them all: from rats to rabbits to cats to dogs and horses, possums, cows, birds, even snakes. I recently pounced upon this Etsy shop - Karen Foster Art - that creates cards benefitting the Columbus-Lowndes Humane Society and AWBAR - Abandoned Wild Babies Animal Rescue. Her Etsy shop can be found here. I loved the quote on this card she designed (which I just bought!). In the spirit of something my friend Lori's Dad told her, "Honey, you can't suckle the whole world," this quote is a good reality check. We can't save everyone and everything, but saving one makes a huge difference to that ONE. Miss Kate is a rescue, as is the often-photographed Miss Tallulah Mae. We do what we can. 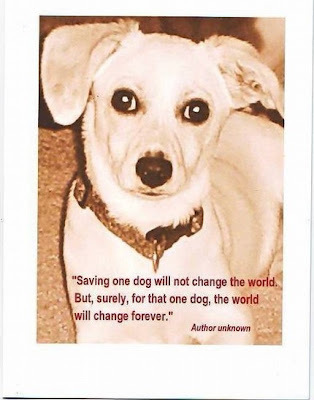 It also cannot be ignored that my earlier-mentioned friend Lori shares her heart and home with I believe she is up to SEVEN, count'em, SEVEN cats and dogs -- all rescues. Love that woman!